Explore the wild parks and reserves of remote Southern Tanzania. First fly to Mikumi National Park and the famous game reserve Selous you then continue to Ruaha, for 3 nights at the amazing Rhuah River Lodge. 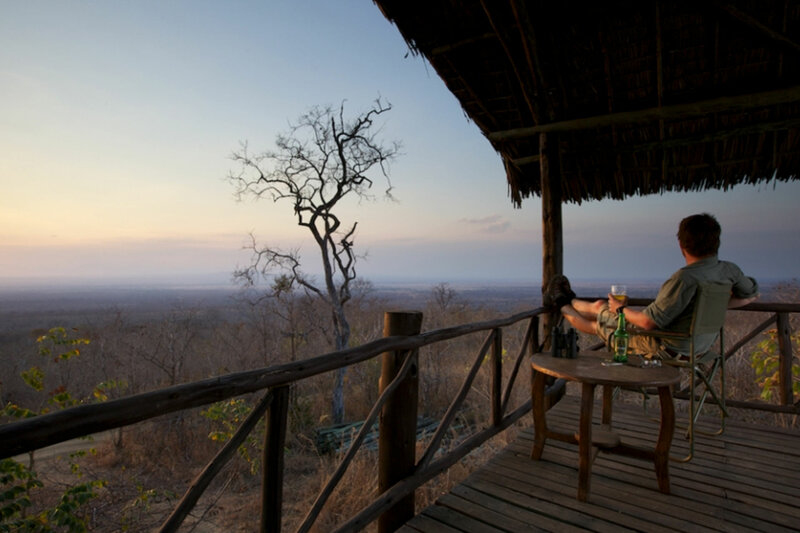 These spectacular settings are very remote and offer a perfect combination of seclusion and wildlife viewing. This safari is led by local resident guides who have an intimate knowledge of the game areas you will visit. You will be met and driven to the airport this morning in time for the scheduled light aircraft flight to Mikumi National Park. 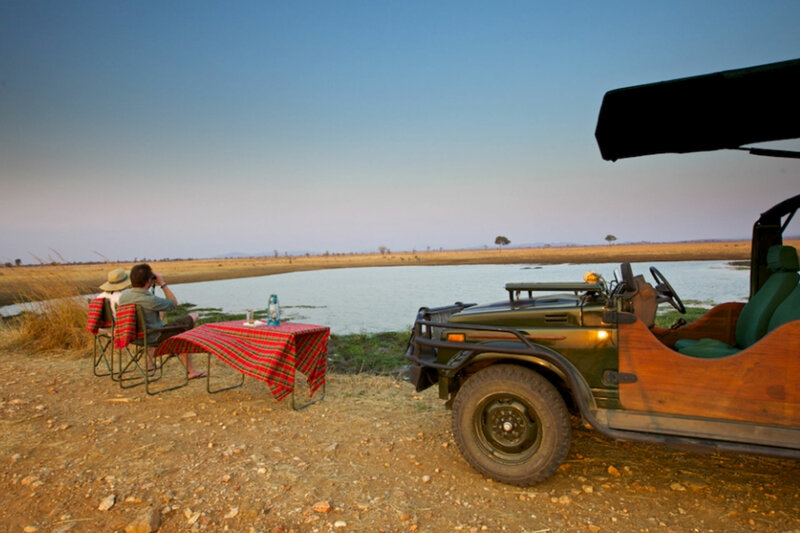 You land at the airstrip and will be met and driven to Mikumi Safari Camp, arriving in time for lunch. This park covers an area of 1,250 square miles (3,230 kms2,) and is part of a huge ecosystem comprising the Selous Game Reserve. Situated in the Mkata flood plain, between the Uluguru and Rubeho Mountains, Mikumi is the Kiswahili name for the Borassus Palm which once was very common in the area. Stanley crossed this flood plain in 1872 on his return after finding Livingstone in Ujiji, Lake Tanganyika. Mikumi has many different ecosystems dominated by grasslands in the flood plain of the Mkata river which later gives way to “miombo” woodland, dry forest dominated by “Brachystegia” trees. Every ecosystem has varying species like the Greater Kudu and Sable Antelope with the miombo. Other abundant species include elephant, buffalo, eland and Liechtenstein’s Hartebeest together with predators like lion, leopard, spotted hyena and the highly endangered African wild dog )easier to spot at Mikumi than in other National Parks and Game Reserves of Tanzania). Accommodation is at Vuma Hills Tented Camp, set in a peaceful location in the hills with a view of the Mkata plains and surrounding mountains. It has 16 spacious, comfortable tents, each with a hot shower and flush toilet in their en-suite bathrooms, with large verandas overlooking the open grasslands. The open air bar is perfect for a sunset drink. If time permits, enjoy the camp’s small swimming pool. Spend your days here on game drives in open 4×4 vehicles, or visit the nearby Udzungwa Mountains for a guided hike. This morning you will be driven to the airstrip to board the scheduled charter flight to Ruaha National Park. Here you will spend the next two days on foot and in your 4×4, exploring the different ecosystems of the Park. Ruaha National Park is the wild and untouched Africa as described by the early explorers. 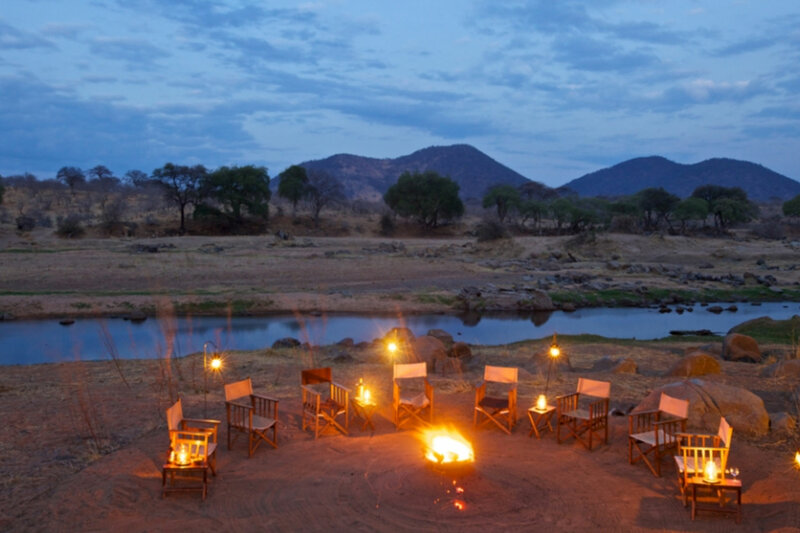 Ruaha is crossed by the dry sand rivers and the Great Ruaha River fringed tall tamarinds, acacia and wild fig trees. Huge baobab trees are found almost everywhere in the park giving an interesting feature to this vast wilderness. The park shelters large herds of elephants , sable and roan antelope, together with both species of kudu. Lion, leopard, cheetah and spotted hyena are also found here, as are several packs of the rare wild African dogs in the reserve. Along with the mammals there are more 370 species of birds that inhabit Ruaha. Sought after sightings of the Pel’s fishing, Dickinson’s kestrel, violet crested Turaco, pale-billed hornbill and the raquet-tailed roller can be worth a visit to the park for bird enthusiasts. Your nights here will be spent at the wonderful Ruaha River Lodge – where you can comfortably flop down, put your feet up and watch the hippos splashing in the river in front of you. The lodge stands on the banks of the Ruaha River, with small rapids running over boulders, often with hippos and large crocodiles waiting nearby in calmer pools. The spacious lodge bungalows are made of stone and thatch and each one has a veranda, simple furniture and en-suite bathrooms containing a flush toilet, washbasin, a shower with copious hot water and the odd frog or two. Enjoy drinks around the campfire each evening and wholesome, plentiful dinners in the elevated dinning room. You have two more full days to explore this vast wilderness area. Today after a final morning game drive you will be taken to the airstrip to board your schedule light aircraft flight back to Dar es Salaam, arriving in the early afternoon.